After Huntington City Council approved the police department acquisition of five 2018 Ford Utility Police Interceptor vehicles at a cost of $160,000 and vehicle watchdog camera systems for $26,725, the favored the resolution for the "Love Your Block" program. According to planning director, Bre Shell, the city's pilot will be geared for cleaning up blight in the West End. 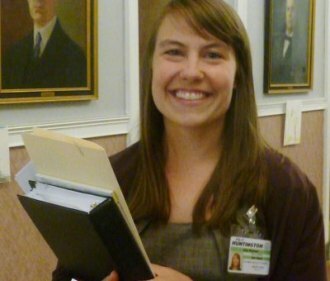 Two Americorps VISTA members will be hired to aid the city's program. Ms. Shell indicated "they will be working at city hall but talking with people in the neighborhoods (about ) some of the key problems, what we can do to fix, strategize creating a plan to make changes." The program includes both tearing down and repair of structures. while $25,000 will support citizens and non-profits in clean up efforts. Shell said that among participating cities for 2018 are Milwaukee, Wisconsin, Buffalo, NY., Hartford, Conn. and Gary, Ind.